Erica Bunker | DIY Style! The Art of Cultivating a Stylish Wardrobe: Obsessed: I Like Wearing Black & White! 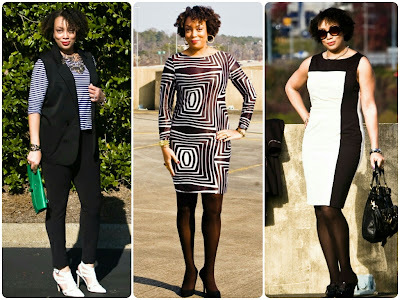 Obsessed: I Like Wearing Black & White! Black and white is ALWAYS my default when I really don't want to put a lot of thought into an outfit, because it always works! No matter if you pair separates, color block it or wear a graphic print. And if you want to add color, add it with your accessories. 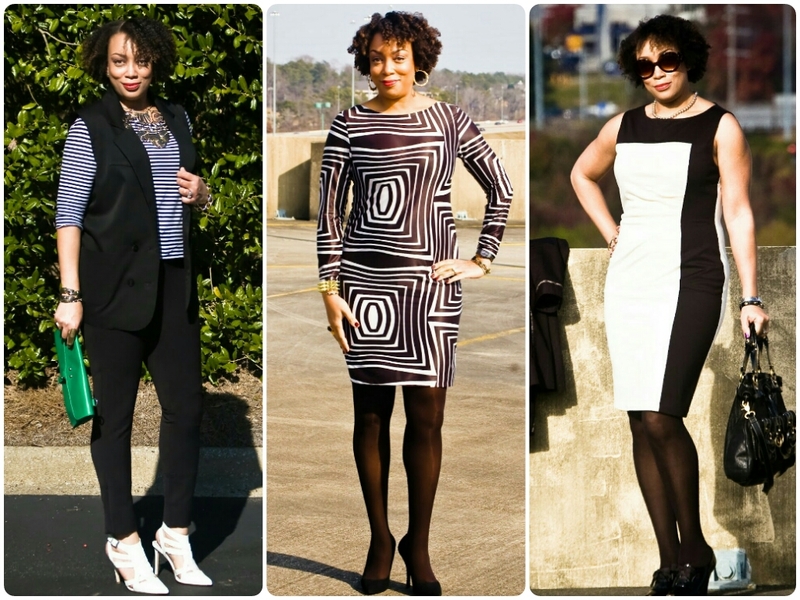 What's YOUR default, black and white, a single color, or neutrals? Black and White is my default choice also. Basically for the same reason I can add a pop of color with a scarf, handbag, or shoes. It's a great way to work in a new color trend and keep within your budget. Black... usually with color in terms of an accessory. I do this too Myrna! YES!! I love black and white! I noticed that a lot of designers and celebs are starting to do more with this basic color combo. I can't wait to whip something up on my sewing machine. Tia Shauntee, I've noticed the same thing! I tend to lean towards grey, especailly in winter coats. If I purchase a color it seems to alway be in the salmon/coral family. I loved grey when I was going through my neutral lhase. I love black and white as well and you do it so well. Do you remember what pattern that white wrap shirt is? Nancy, it's OOP Vogue 1846 from Byron Lars. Thanks! Black and white for me, here, too! I like to throw in a shot of red to kick it up. Bunny, red with black and white is so classic. Black seems to be my mainstain, but I try to mix it with different colors to keep it interesting. I didn't realize I leaned so heavily on black until it was recently pointed out to me, so I just embrace it. This was the same for me! I've always been more of a color and print person, but this season I've been gravitating to black and white, both together and separate. All you B&W pieces are wonderful. Black and white- though too much black near my face can wash me out so + a bright colour (usually red) is good! I also like "camel" and black together too! 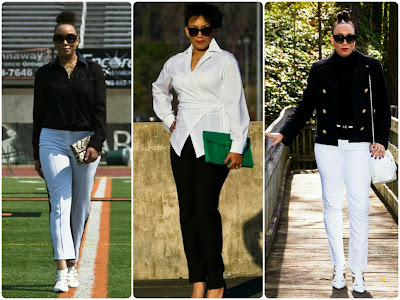 Black and white with red or camel are both classic! I love black and white! I sometimes feel guilty that it's too easy, LOL. But like you said IT ALWAYS WORKS. Don't feel guilty Levone, it's classic, chic and always on point! Hey Erica, I'm trying to find your posts about the black pants pictured here. I'm having to hunt pretty hard... Do you know what pattern they are? Also, have you ever thought about starting review archive link/tab? Review: Vogue 8870 | Bold Stripes! The LWD | White Dresses for Spring! What I'm Wearing | Pink and Black! What I'm wearing | Black, Leather and Orange! What I'm Wearing | Daffodil!